One of the best cultivars available today as well as the toughest Epimedium for dry shade, even under large, thirsty trees. This is an effective groundcover that is evergreen in all but the harshest winters. From mid to late spring, clusters of small flowers with pale yellow sepals and primrose-yellow petals hover just above the foliage. The young leaves are flushed red and then turn green in early summer. To keep it looking its best, this plant should be sheltered from cold, dry winds. 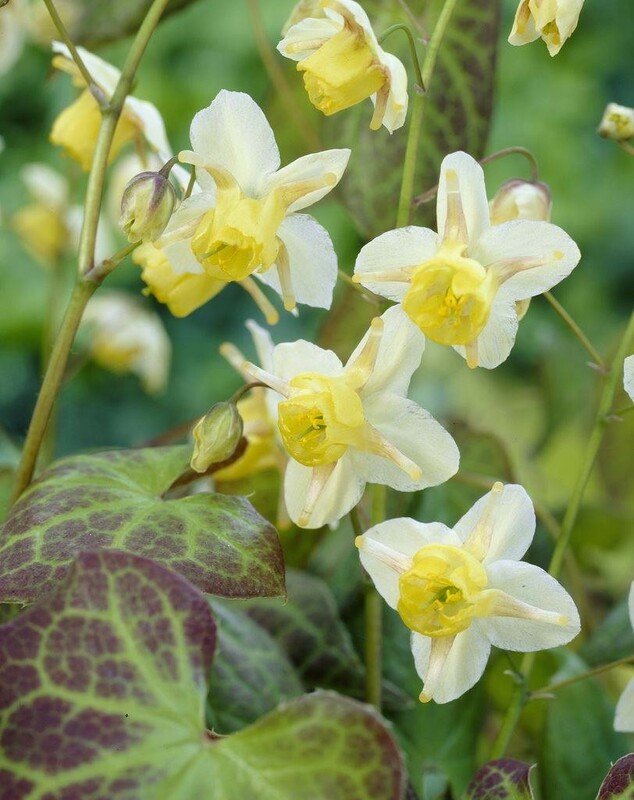 Epimedium will adapt to many growing situations, and is particularly useful in dry shade where few other plants will survive. It is able to compete with tree roots easily. 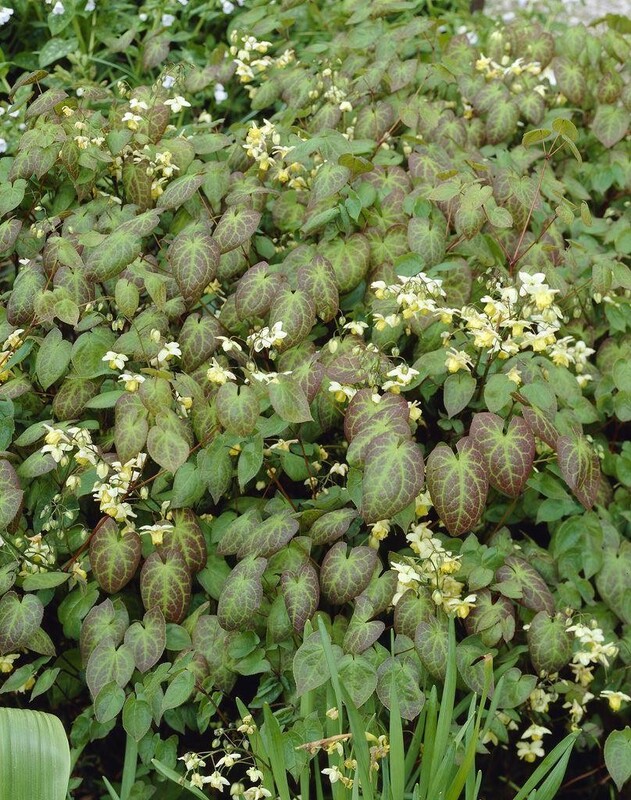 Epimedium is a tough plant that will survive in nearly any shady location. Supplied in approx 2 litre containers.